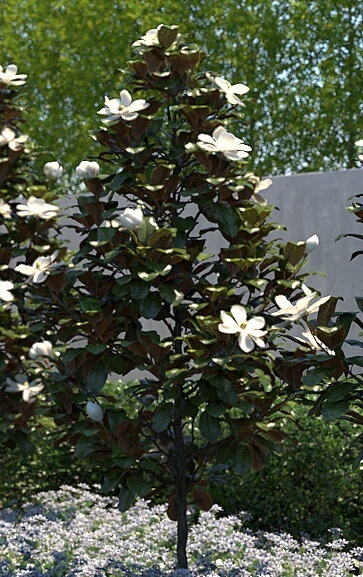 Smaller variety of the fast growing magnolias growing up to 4 metres high and a dense canopy of up to 2.5 metres wide. 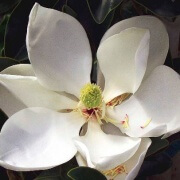 This is a dwarf form of magnolia popular for it’s small size. 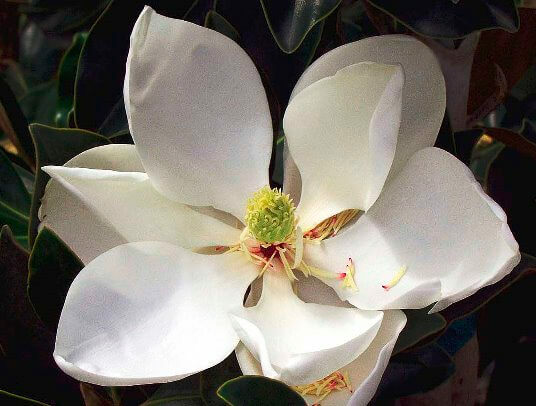 The Magnolia Little Gem has a pyramidal habit, dark green evergreen leaves with a light fuzz on the reddish-brown coloured undersides and beautiful white scented flowers emerging in spring and summer. Relatively hardy growing in full sun or partial shade and fertile, moist, well-drained soil. This is a versatile tree suiting patio pots or planted in gardens and parks as a specimen tree.